The situation was. 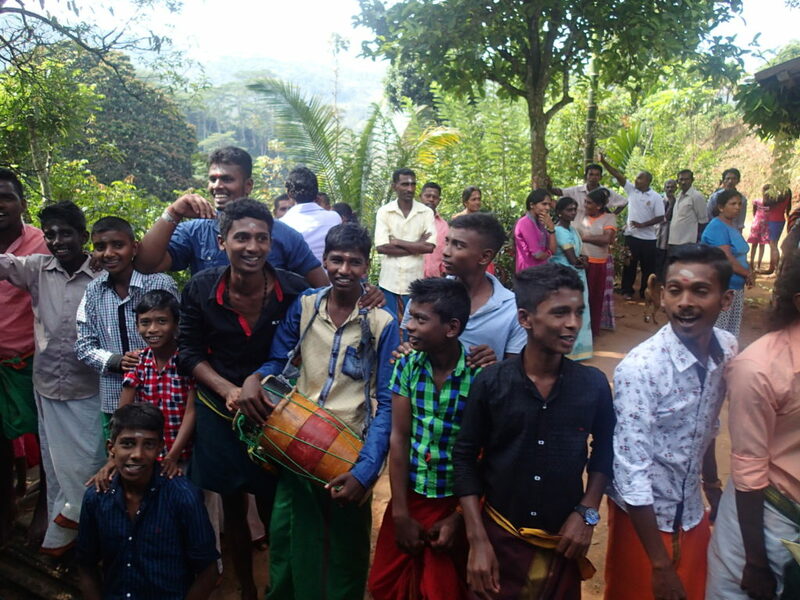 Peak travel season in Sri Lanka for tourists and locals alike. 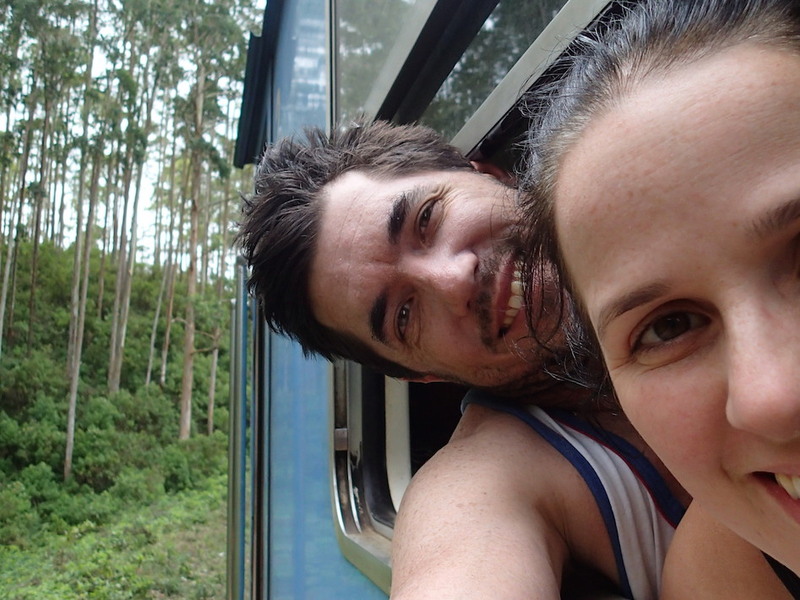 The famous Kandy to Ella train ride through the hilly tea plantations was fully booked. 2nd and 3rd class unreserved can never fill up so it’s our only option. The challenge remained to secure a seat on what was a 6-8 hour train ride. The train originates in Colombo at 3am arriving in Kandy at 8:30am. Knowing Kandy is likely to be the main boarding point we headed for a station just before Kandy called Perideniya. This in the attempt to secure any vacant seats left by departing passengers in Kandy before any passengers boarding at Kandy have a chance to snare them. It was a cunning plan. Tuk-tuk is hailed to take us Perideniya station. On arrival we discovered some others had the same idea. 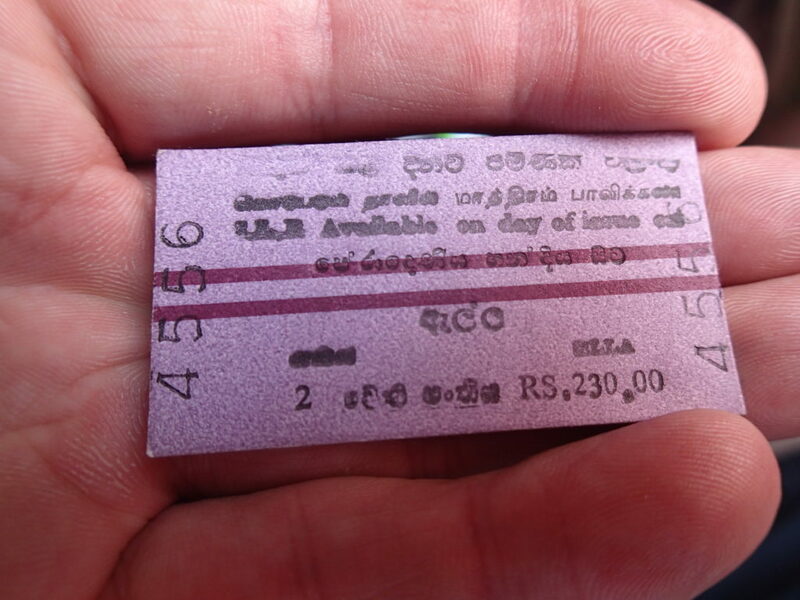 We paid the 230 rupees for the ticket ($2.30 AUD). The train arrived and we boarded. Onboard there was standing room only as suspected. We began to eye ball the seated passengers for any sign they were preparing to alight at Kandy. Place your bets! About 5 mins out from Kandy it became clear that a family of 4-5 were due to get off. Already a few had made motions to secure the seats including one girl sliding her bag onto the seat behind a man in an isle seat getting ready to leave. It was getting tense. A rattle of the train and as luck would have it the man in the aisle stood at the same time as I was thrust toward him. Seizing the opportunity I swung my leg onto the seat. The time for gallantry was over as I picked up the girls bag and kindly handed it back to her while straddling the armrest to the semi-vacant seat. Next an elderly lady at the window seat was due to get off with her family. Helping her out as Erin helped herself in like a human revolving door resulted in us having two seats together. Immediately feeling guilty as a load of people boarded the train at Kandy with no seats to be had. While standing there is no ability to take in the scenery unless from the open doorway. And, it is a scheduled 6-8 hours to Ella. However, as the journey went on people came and went and swapped seats to make it all work. Meanwhile, the train chugged slowly into the hills. A Sinhalese hotelier had told us the night before at the Bamboo House in Kandy that no investment had been made in the railway infrastructure since the British left. While not completely reassuring, the train travelled at such a pace that were there any incident it would have little impact. Still it is peculiar that for something so essential for long distance domestic travel in Sri Lanka you would think it deserved having a few rupees thrown at it. 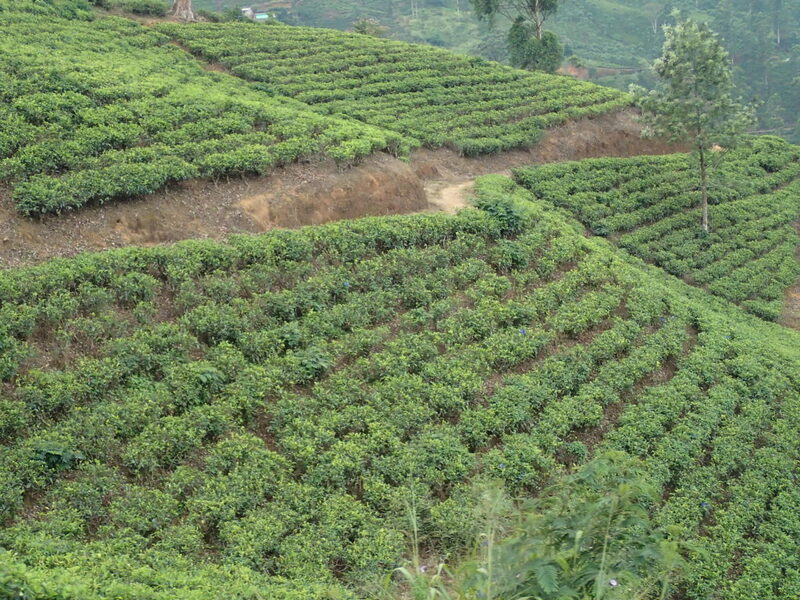 Snaking through the hills we gradually came into more and more manicured hills of tea plantations. Planted in neat rows on the steep cliffs. The tea trees are a low round bush with line after line of neat rows made the hills looked they were a series of heads with their hair styled in corn rolls. The scenery was pretty epic. Such green hills and every so often you’d pass a small village. Locals would often wave and smile at the passing train. Many out of the way stations were stopped at with names that were difficult to pronounce ( like Talawakele) and not marked on the route map. Before a major station, Hatton, a long wait ensued while we waited for the oncoming train to pass. The majority of the track is one line only leaving designated places for on coming trains to pass. The slowness of the train and delays didn’t seem to matter as the outlook was very peaceful and is definitely one of those times where it is the journey rather than the destination. The trains arrival into Ella was scheduled at 6 hours. At about 8 hours we were still a way from our destination. We pulled into a major station the train stopped for a decent amount of time. Not that this was unusual. What was unusual was that everyone began to get off, cross the tracks with all their things and climb up onto the platform. Apparently this train was not going anywhere soon. It was now dark and only about 10km from Ella, a resilient tuk-tuk was again hailed to book end a day’s travel in Sri Lanka. Ella town was a buzz with travellers and felt like a town one could stay a while. With plenty to see and do. It seemed Ella was worth the training!